WILLIAMSBURG, VA—A general education study conducted by the College Of William & Mary’s School of Education found the average American citizen receives 87 percent of their knowledge concerning the geography, ecology, and history of the United States from the graphics of “America’s Moving Adventure” featured on the sides of rented U-Haul moving trucks. 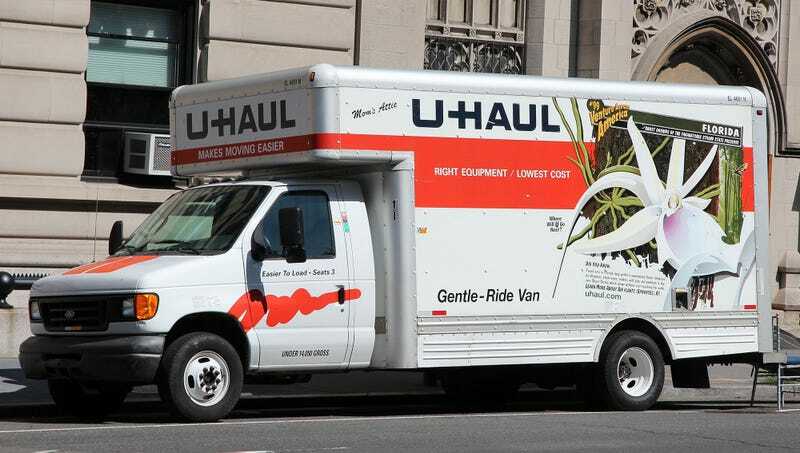 “According to our findings, most citizens learned and overwhelmingly retained information about the nation’s cultural and geographical makeup through regular encounters with U-Haul trucks,” said head researcher Alexi Perra, who also speculated that introducing new moving-truck graphics on a regular basis might lead to significant advances in American education. “Participants who displayed a high level of awareness concerning the origin of the Hoover Dam, the establishment of the National Parks system, or even how ghost orchids grow in Florida’s subtropical climate almost always attributed their knowledge to U-Haul.” In a related study, Perra added that his team of researchers found Snapple Facts were responsible for 64 percent of American scientific knowledge.